No so easy to recreate because you need to articulate looks, gestures and colors of the clothes. Start the composition with the seated girl at the centre. 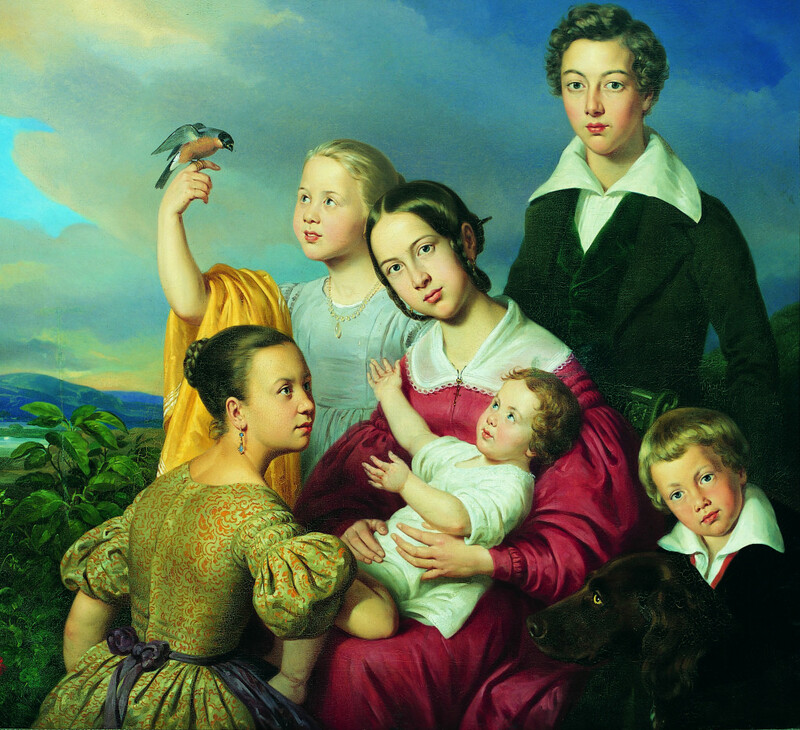 The portrait shows the six children of Heinrich Adolf Kraemer, owner of a steel factory close to the city of Trier in Germany. It is a typical portrait of this period called the “Biedermeier”. This period refers to an era in Central Europe during which the middle-class grew and arts appealed to common sensibilities in the historical period between 1815, the year of the Congress of Vienna at the end of the Napoleonic Wars, and 1848, the year of the European revolutions.